Access Media Services specializes in the strategic placement of cable advertising. We handle everything from start to finish-including, but not limited to, planning and research, buying, and invoicing. We work with clients, agencies, and media partners to provide effective, efficient advertising and marketing solutions targeting consumers by media habits, markets, districts, and/or zip codes. We pride ourselves on providing top notch service for all advertisers regardless of budgets. We focus on calculated methodologies in order to ensure that no dollar is squandered. 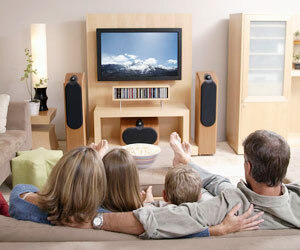 We believe that many traditional buys waste money on viewers who cannot possibly buy their product. Our job is to limit waste by placing commercials in the most targeted geographic/psychographic areas and by purchasing the networks, programs, and time periods that make the most sense for our clients. Contact us now to speak with someone who can help with your local or national advertising campaign.